We design our products to be not only beautiful, but practical as well. 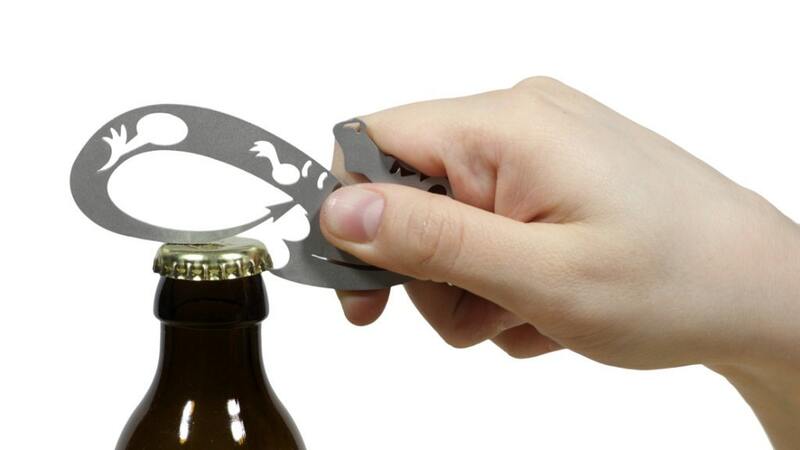 Every keychain is a bottle opener as well. Our designs are all copyrighted and where applicable, design patented. We vigorously defend our intellectual property. These designs cannot be found anywhere else. We spent a lot of time coming up with these unique articles, crafting them, polishing them to a high luster or matte finish and creating attractive displays. We hope that you like them as much as we do. Our exclusive line of Opener/Keychains can be customized with your band, company, city name and logo. Contact us to find out about minimum orders, bulk discounts and logo etching/engraving. 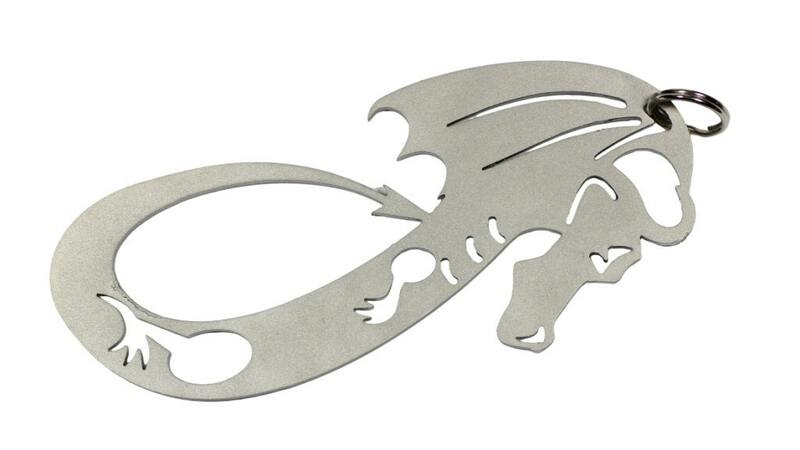 We produce a range of dragon bottle openers, keychains and other products made of laser cut stainless steel. 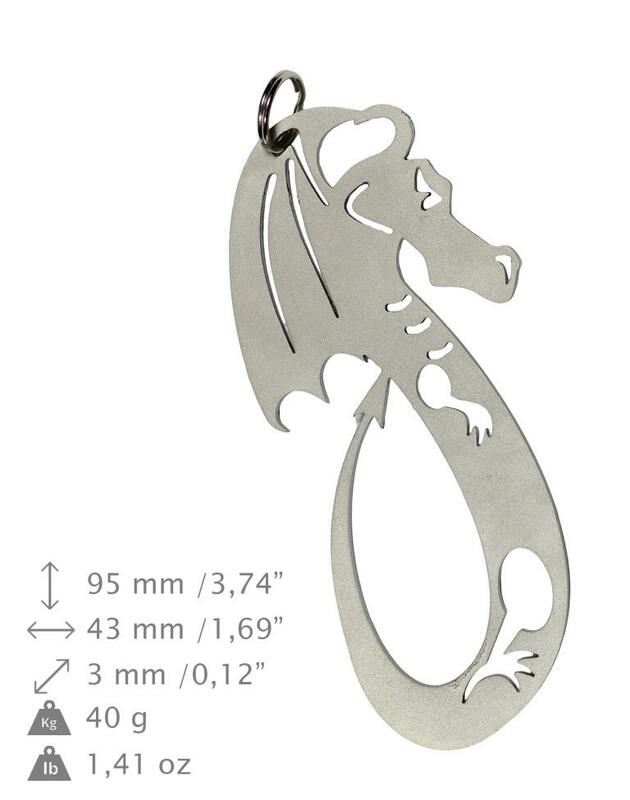 Each is laser cut from 2mm or 3mm thick stainless steel and polished to a luster finish. 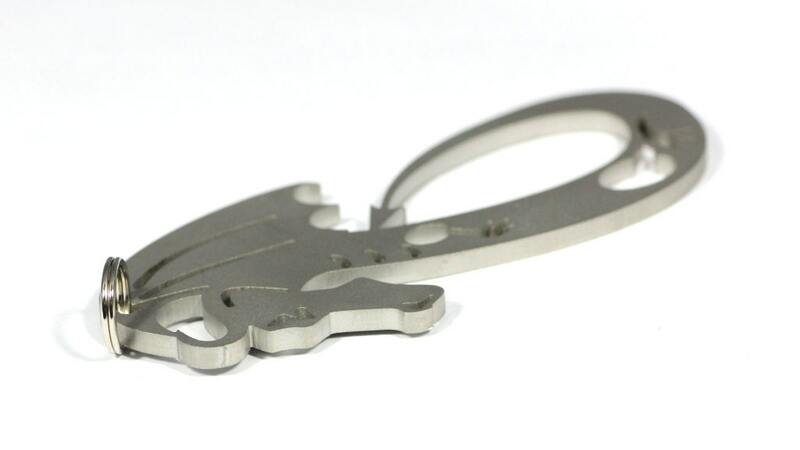 Our line of laser cut stainless steel openers/keychains are indestructible – the acid resistant stainless steel we use is too hard to drill or mill, so we must use 4000 watt CO2 lasers! They never rust and under normal use, will practically never break. -and many more types of openers/keychains. If you are a retailer, contact us for display cases and retail displays as well as bulk pricing. We ship direct to our customers and save you time, aggravation and money. Delivery time is from 3 up to 7 days. We ship all over the world. Anybody who just happens to like guitars!